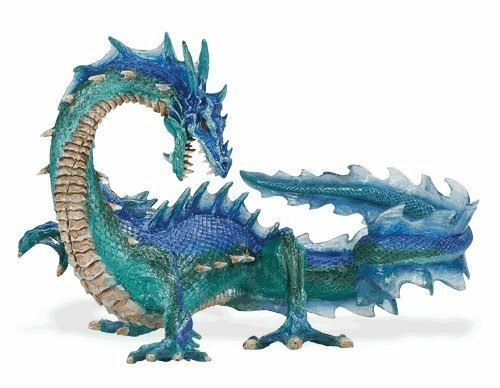 I love my dragons and these hand painted, well designed dragon toy figures would make a great addition to my collection. 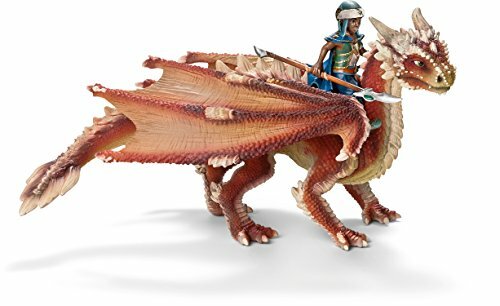 I know there are many people out there who collect dragon figures and pay a lot of money for them. 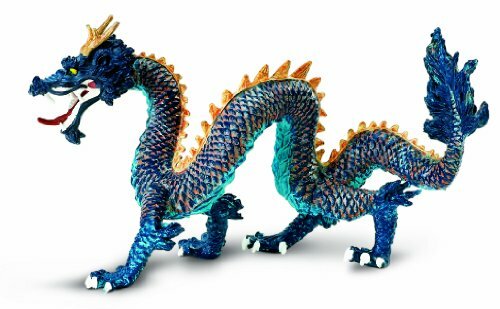 These dragon toys are very reasonably priced though and make it easy to inspire a youngster’s imagination at playtime or add them to your own collection. First up, we have a couple of lovely dragons with their riders. 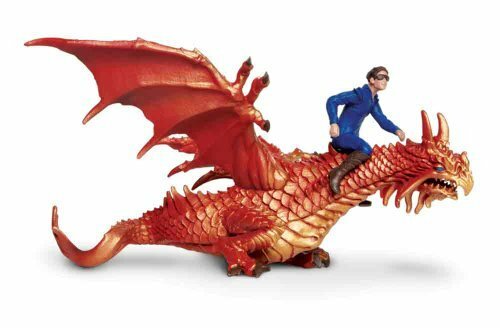 I can just imagine a child swooping around a room, pretending to be the dragon rider flying gracefully through the skies or attacking an enemy. 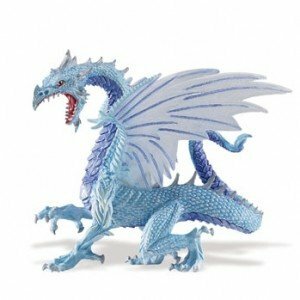 The glow in the dark snow dragon is only about 5 inches tall but would make anyone smile to see it guarding your treasures in the dark. The sea dragon is based on the old Greek myths and legends – it was the cause of accidents and high winds at sea in a time before science and technology could explain nature’s actions. The ice dragon lived far in the frozen North and it’s breath could freeze any creature. Give your child these few ‘facts’ and watch their imaginations soar – children can take the most basic story bits and expand them to whole novels if you feed their imaginations well! The forest dragon has to be careful of his fiery breath – one wrong move and he could easily destroy his own forest home. He is the dragon who defends the forests and knights of old were sent to fight him to prove their worth and to protect their villages at the edges of the forest. 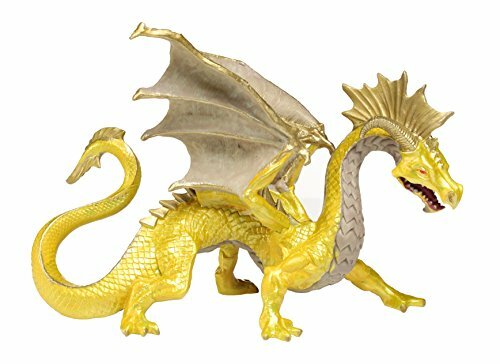 The golden dragon has an affinity for gold – raiding castles for the treasure to add to his own golden hoard. 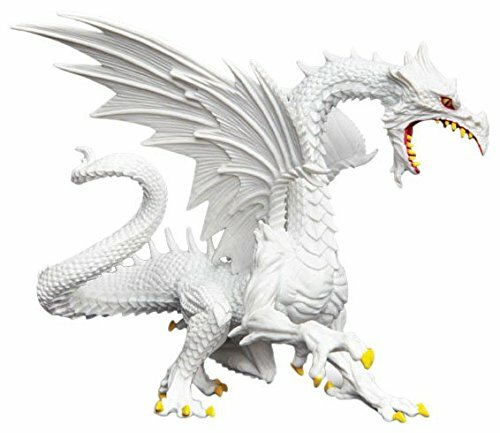 A favorite target of adventurers looking to steal his precious treasures, the golden dragon is ferocious and fearsome in defense. These are just a few of my favorite dragon toys but there is a huge range of different colored dragon toys available. There are also other mythical creatures like the wyvern, the hydra, the phoenix or the chimera too. 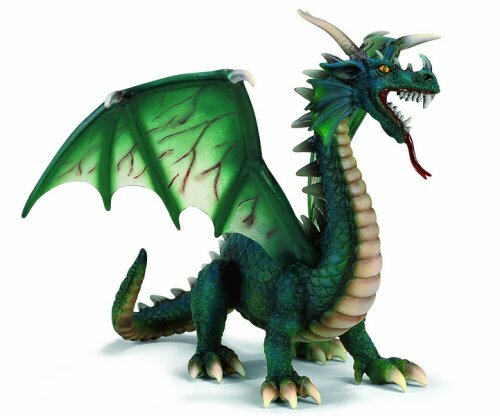 All are reasonably priced and well designed, so why not let your child’s imagination soar with tales of myth and magic with one of these wonderful dragon toys. 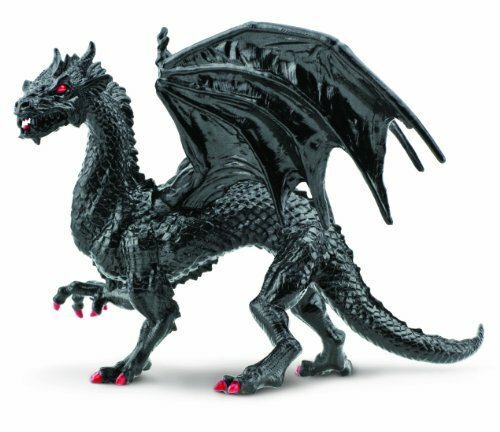 If you’re looking for a more general gift for a dragon lover, our Valentine’s gift ideas for Dragon Lovers post has some great ideas too – from rings and jewelry to plushies and clothing – it’s not all hearts and flowers!